Every morning, my dog, Merry, takes me for a walk. No, I'm not confused – Merry likes to go for a walk by herself as well, but in the morning, before I go to work, she likes us to go out together. She waits by the door until I attach each of us to one end of the leash and then, when we go out, she decides on the route and the amount of time. It's true that at first, I began these morning walks with the intention of teaching her where to do her business and mostly where not to, and to scoop, but she very quickly understood the advantages in this new situation and since then she has been managing it. What does the king in The Little Prince teach us? "...that the most important thing to the king was that everyone do his bidding, and that he couldn't tolerate disobedience. He was a lone monarch, but because he was a good man, his orders were reasonable. "I order you to do so," the king answered him..."
The king did not manage the events in his meeting with the little prince, but rather, he retroactively confirmed all of the little prince's actions or requests. I don't really manage my morning walk with my dog, Merry, either. Reality is, of course, far more complex. 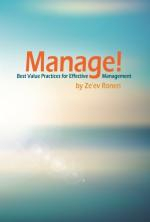 There are many faces in management and no one recipe for successful management. On the other hand, there is no one recipe for unsuccessful management either. 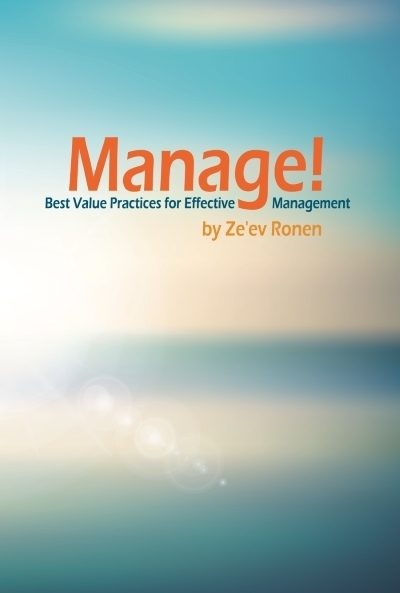 A few weeks ago, together with Anat Milner Cohen, I published an in-depth study in this blog on "The Necessary Traits of a Successful Manager". Close to five hundred readers replied with comments and we will publish the findings very soon. I will state there that a number of character traits received a clear preference by you, most of them being "soft traits". "Charisma", "delegates authority" and "provides a personal example" were most prominently selected by hundreds of study participants as being the most important traits of all. There are managers, in particular those managers who have been with the company since it was founded as a small business; they are usually the owners, and are everywhere. They do everyone else's work but their own. They are always busy, they are very pleasant to their employees and remind us much of the king in The Little Prince. They receive much admiration from their employees and sub-managers – only the results are less than wonderful. They are so busy taking on the numerous tasks in the company, in replacing various position holders who are absent or late for work, or filling tasks nobody else does, that they have no time to evaluate things from a manager's position – to determine if there has been any progress made in company objectives. It is difficult to persuade these types of managers that they can get better results if they act differently. They feel sure they are behaving in an optimal manner and they have no time to consider any other way. If we study them according to the traits I mentioned above, we can say that these managers perhaps provide a personal example, but it is clear that they do not delegate authority, nor are they charismatic leaders. They do not trust the management level below them and prefer to do the work by themselves instead of instructing and providing opportunity. When they are also the owners and they manage to maintain the bank account at a reasonable level, there is no one to ask them questions and demand that they maintain their objectives. When they are managers in a larger organization and their superior does not ask questions or demand growth and maintaining of objectives, it is apparent that there is room for improvement there too. The best way to change the nature of the management is, of course, to set objectives, to follow up on progress and to perform actions to attain these objectives. When this manager is part of a larger organization and has a superior who is aware of the situation, there is a better chance of generating change. If the CEO is also the owner, generating change will be complex. In any case, external guidance is advantageous in this situation. There are other managers who are detached from those in the field. Usually this is a result of strong management that constantly overrides lower management, or someone strong under them whom they fear confronting, preferring to close themselves up in their offices. These managers do not express charismatic leadership; usually they do not delegate authority, but rather detach themselves with no clear procedure for transferring authority and certainly do not provide a good personal example. In this case as well, the best way to generate change is by setting objectives, constructing a plan of action for attaining them and following up on progress. However, if the detached manager is the CEO or even the owner, the chances of this occurring are very slim and only a wake-up call and constraints from the bank might generate any change. By then, however, the company will already be at the edge of the abyss. If the king from the book The Little Prince, and the two types of managers I described above may be considered as being pleasant to their employees and may induce the impression that this is where the obstacle to good management is buried, the next manager I would like to introduce is definitely not pleasant, yet his chances for success are also slim. I was once summoned to a small company who had a brilliant product, but were still unable to soar. I was summoned by the Vice President of the company, who described to me a situation where the employees were constantly leaving and being replaced. Most of the employees left within a month from the beginning of their employment and thus, almost all of them were new to the company, with no accumulated knowledge/experience in work processes. The VP told me that the CEO would always shout at the employees, and they, in turn, would leave the company. In a discussion with the CEO, he confirmed the situation and claimed that he shouted at them because they were making errors. I asked him if he also praised them when they did their work well. He looked at me in complete surprise, asking why he should praise them if they were just doing their job. This CEO did not express any one of the three character traits selected by you as the most important traits for successful management, and actually didn't express any of the other traits on the list (I will detail these later on). This may be an extreme example, but it is not exceptional – I have met more than a few managers like this. Managers who do not manage their employees and/or what goes on at their companies are not doing their job and are hampering company success. When this kind of manager is also the CEO or even the company owner, the chances of generating change are slim. The way to generate change will almost always be to set goals and objectives, to install an action program and to follow up on progress.